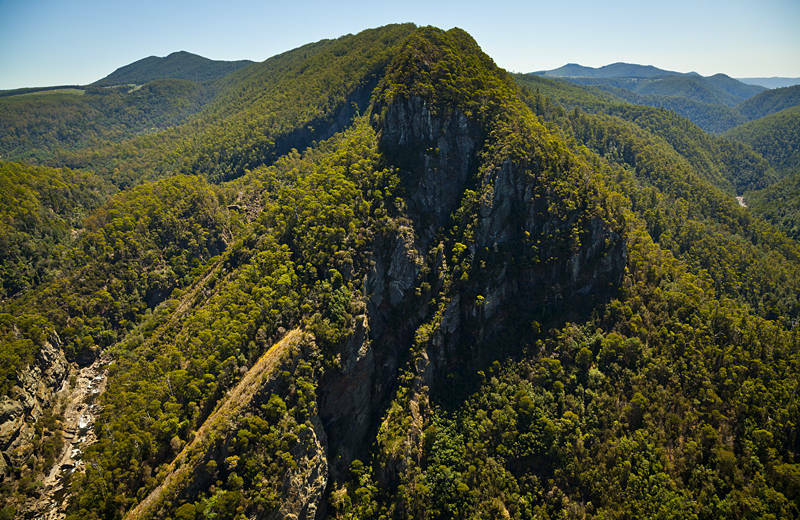 This is Leven Canyon on the edge of Tasmania’s wild west. Before leaving Melbourne on the ferry I caught up with some old friends including Lieven who I last saw on my first trip to Australia over 20 years ago when we drove a terminally ill ford falcon from Perth to Darwin. Melbourne was in the middle of a heatwave and a power cut. All the traffic lights were off as I drove from one side of the city to the other. This was much easier than you would think as when you drive a big old heavy van all the shiny tiny town cars do not risk crossing so I sailed through the grid system. Tasmania has exceptional bushwalking and at this time of year, the temperature is perfect. The circuit walk from the campsite includes 697 steps and this lookout. If I had an ultra wide angle lens you would see the river circling around the mountain of rock like a moat. It was my first serious walk of the year so it served to remind me how out of shape I have become in the festive break. Just after taking this photo my camera died during a wild echidna encounter. Today I am driving to Hobart to get a 3rd hand replacement. This will be the 3rd Canon 5D mark ii I have owned. It is half the price of the 2nd hand one which lasted 4 years and a quarter the price of the new one which also lasted 4 years. If it survives the next 12 months with me I will be happy.